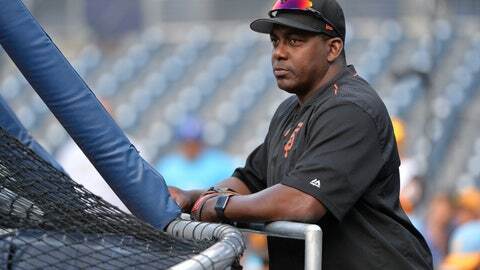 SAN FRANCISCO (AP) — Giants bench coach Hensley Meulens has interviewed with the Cincinnati Reds for their open managerial position and also is set to meet with the Minnesota Twins this week for the job that opened when Paul Molitor was fired. Meulens was in Minneapolis on Thursday and scheduled to interview with the Twins through Friday after traveling from Cincinnati. He met with the Reds, who fired Bryan Price after a 3-15 start.